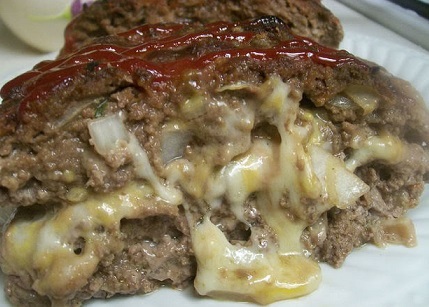 This Bacon Cheeseburger Meatloaf recipe was developed after a brief discussion with a very regular restaurant guest. She was talking (complaining?) to me about her young son. She was saying all he ever wants to eat is a bacon cheeseburger. 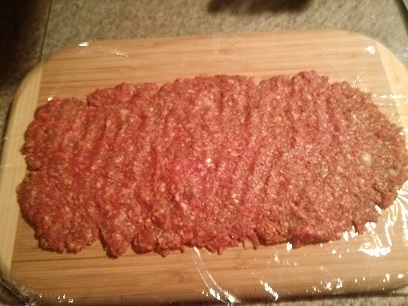 The result was this meatloaf recipe. Not only did her son love this meatloaf but so did the other restaurant guests. We sold out quickly! I also “hedged” by serving a few fried onion rings with the meatloaf. 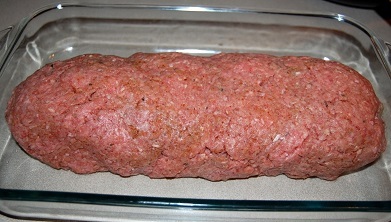 In a large mixing bowl, add all meatloaf ingredients together and mix well (you can use latex gloves). Make certain all ingredients are mixed thoroughly. 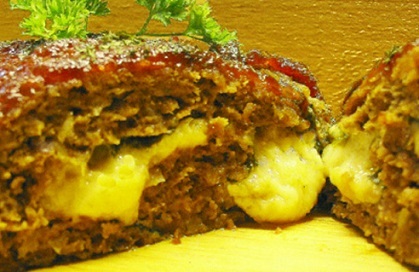 Note: Roasted Red potatoes or French fried onion rings do great with this meatloaf! A picture is worth a thousand words. Here is how to form each loaf. 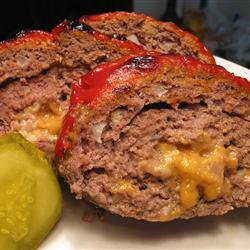 Enjoy your Bacon Cheeseburger Meatloaf and the company you share it with! Did you know? Meatloaf has European origins. 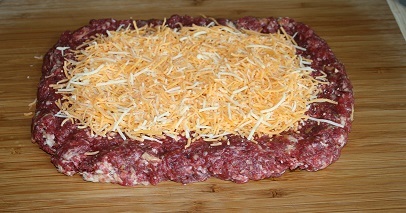 Meatloaf of minced meat was mentioned in the famous Roman cookery collection "Apicius" as early as the 5th century. 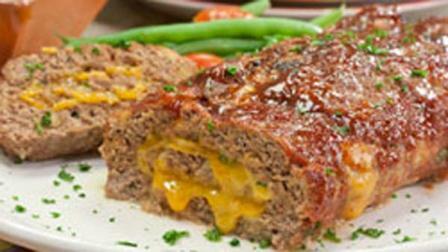 American meatloaf has its origins in scrapple, a mixture of ground pork and cornmeal served by German-Americans in Pennsylvania since Colonial times. However, meatloaf in the contemporary American sense did not appear in cookbooks until the late 1800’s.